Chicago-based artist Nicole Gordon creates artwork that is beautiful and uncomfortable at the same time. 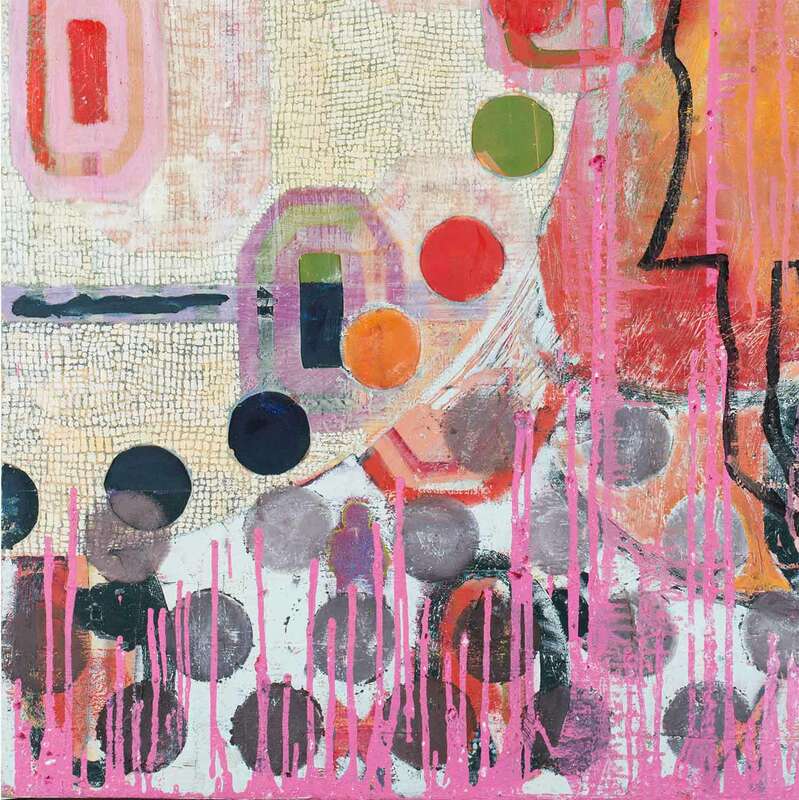 Chicago-based artist Nicole Gordon is known for anachronistic and whimsical paintings that often combine encaustic or “hot wax painting” with oil paints. 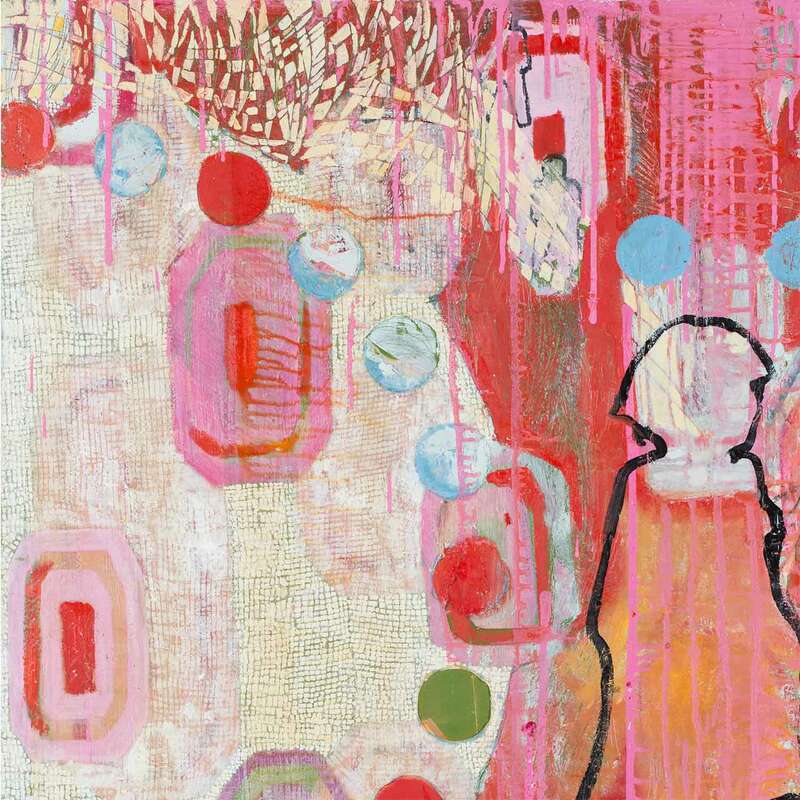 Her love of vibrant colors, mixed media, and multiple textures can be seen in these two works. 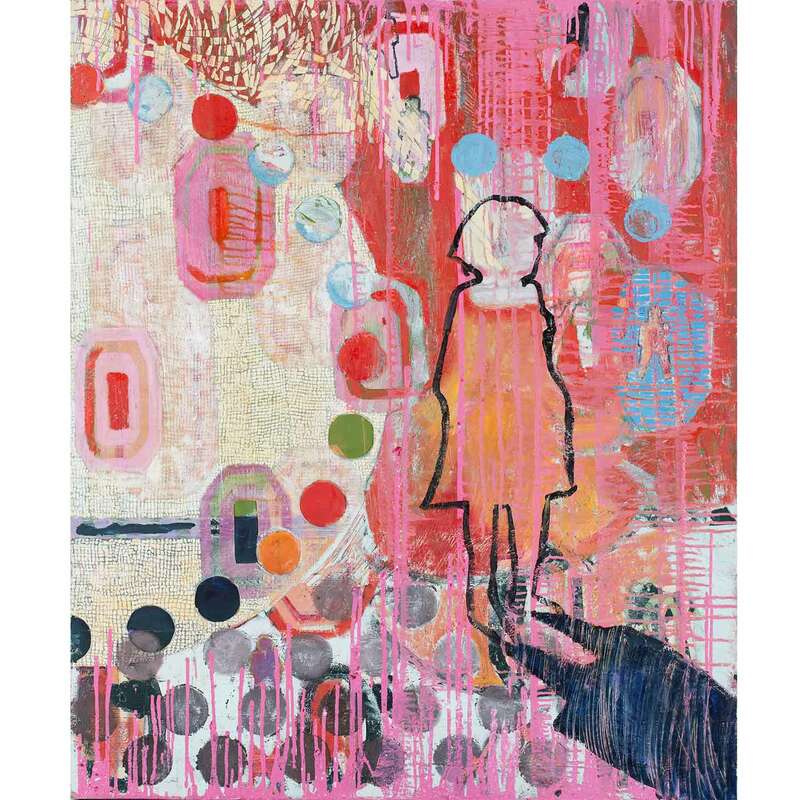 She says her images are meant to be "both beautiful and uncomfortable at the same time.” The Inward Journey 1 was created by Gordon in 2000 of oil paint and beeswax on canvas. 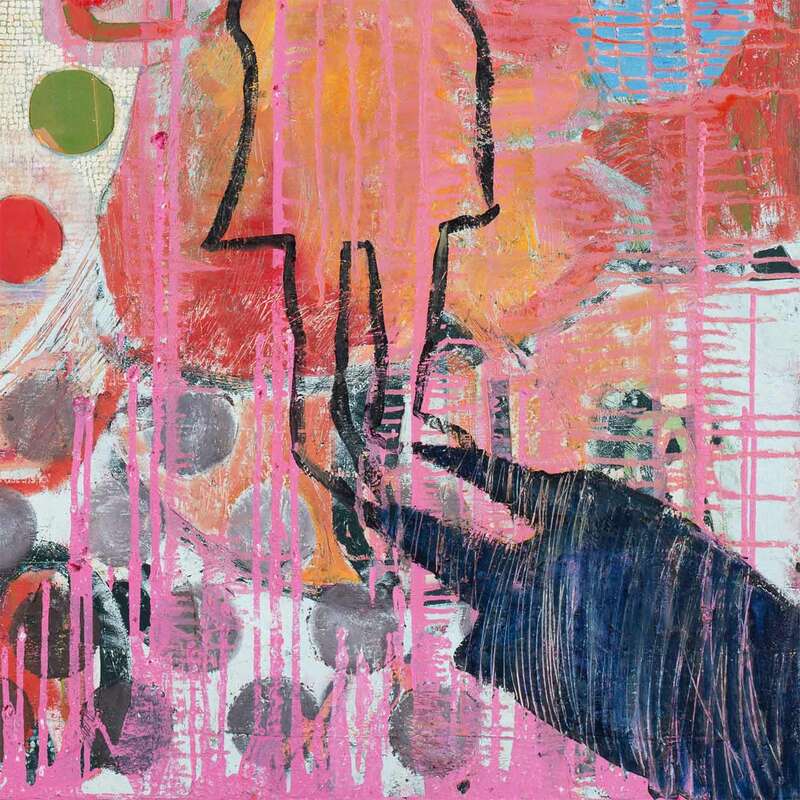 Notice the heavy texture of the painting and the extensive use of paint drips. Gordon received her BFA from the University of Michigan in 1998. She has had solo exhibits at Linda Warren Projects, the Chicago Cultural Center, and Elmhurst Art Museum, and has completed public art projects for the Chicago Transit Authority and New England Biolabs in Ipswich, MA. Dimensions: 55 x 46 in.